Insuremyvan.ie is your ticket to saving money on your Van Insurance Limerick. In some cases, we have saved Limerick clients a massive 50% compared to previous van insurance quotes. 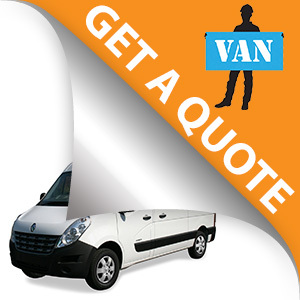 We offer some of the best Van Insurance Limerick quotes with a wide range of cover. We find you, the most suitable product for your needs and aim to beat any alternative van insurance quotes on the Irish insurance market. We were the first online Van Insurance specialists in Ireland, and continue to be the best, as we serve a huge share of the commercial vehicle Insurance market in Ireland. We are the Van Insurance Limerick specialists with a dedicated commercial vehicle Insurance department. Our team are experts who deal with Van Insurance – and only Van Insurance – all day long. Their experience and expertise allows us to negotiate great rate with all leading insurers – and pass those savings on to YOU. If you’re looking for cheap Van Insurance Limerick without having to sacrifice the levels of cover you receive, get a Van Insurance Quote now to see how much you can save. You can submit your details online or call our Van Insurance centre at (01) 660 6900. And you can have high quality but low cost Van Insurance in just a matter of minutes. Remember: Got a van? We’re your man!